If you hear the term, “heat tape,” just know that it differs greatly from heat cables but some people in the industry use the terms interchangeably. We won’t do that here because heat tape is used for specific small, cylindrical shapes and thus provide higher temperatures not suitable for roofing systems but more suitable for indoor applications such as pipes, valves and water lines. Supplying enough cable to line your roof and gutters is important for install. If necessary, we will come out to your home or building to inspect the severity of freeze on the roof and take measurements for proper installation. If you decide on a seasonal contract with us, we’ll begin the process proactively beginning in the summer. 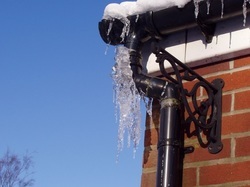 With our expertise, we can detect areas where ice dams and freezing are likely to occur. We will always check and maintain your cables each time we come out. We select the proper length, load and voltage on the cables to reduce tripping of your circuit breaker. when correct voltage is used, you won’t have to expect high utility bills nor will you need to worry about shorted wires that can cause fires. We prepare and test your cables before we close out the service. Heat regulation and control is a preferred method and we are happy to install a temperature control box and teach you how to use it. Because heat cables are ineffective in areas of extreme ice, cold and snow, we will never try to sell you on heat cables if we find they will be of no use. 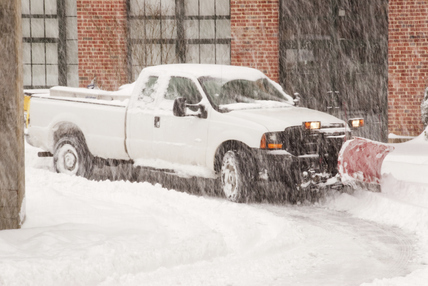 Instead we will explore your other snow removal and prevention options. For expert heat cable installation in Ogden, consider calling us to help prevent rooftop freezing and damage.